Brittannia is a third year PhD candidate who joined the Division of Health Services Research in October 2013. Brittannia has a BSc (Hons) degree (2:1) in Psychology from Cardiff Metropolitan University and an MSc in Health Psychology (Commendation award) from the University of Bedfordshire. The focus of Brittannia's MSc thesis was to explore determinants of healthy eating, physical activity and health protective behaviours across a sample of UK and non-UK residents, utilising the General Preventive Health Behaviours Checklist (Amir, 1987) and applying the Theory of Planned Behaviour (Ajzen, 1991) and the Prototype/Willingness Model (Gibbons & Gerrard, 1995). Before and after completing her MSc Brittannia has gained a broad range of clinical research experience, including data management and project co-ordination, most recently working with two global Clinical Research Organisations in Munich, Germany. Brittannia also has NHS experience gained as a Cancer Pathway Co-ordinator at Bedford Hospital, where she worked with multidisciplinary teams to monitor cancer referrals against national Cancer Waiting Time targets. During her MSc Brittannia collected data for the Whitehall II Study at UCL in London and assisted with the implementation of a patient safety project (electronic printed wristbands) at Luton and Dunstable Hospital. In 2009 Brittannia was awarded a two month summer internship at the World Health Organisation (WHO) in Geneva, with the Chronic Diseases Prevention and Management Unit. At the WHO Brittannia specifically contributed to an international review of lifestyle counselling to prevent non-communicable diseases, presenting her findings to the Unit, with her work later incorporated into Unit publications. 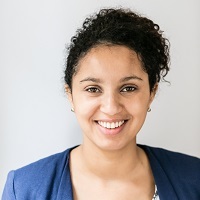 Brittannia has a Certificate in Coaching recognised by Middlesex University and The British Psychological Society Learning Centre.Brittannia is a third year PhD candidate who joined the Division of Health Services Research in October 2013. Brittannia has a Certificate in Coaching recognised by Middlesex University and The British Psychological Society Learning Centre. Abdul-Aziz B, Lorencatto F & Francis J.J (Sep 2015) Patients’ and Healthcare Professionals’ perceptions of Blood Transfusion: A Systematic Review. Division of Health Psychology Conference, London (2015). Abdul-Aziz B, Lorencatto F & Francis J.J (April 2015) A conceptual model of perceptions about blood transfusion based on a systematic review. School of Health Sciences Doctoral Research Conference, City University London (2015). Abdul-Aziz, B., Lorencatto, F., & Francis, J.J. (December 2014) How do patients and healthcare professionals perceive blood transfusions? A systematic review. Nottingham, UK (2014). Abdul-Aziz, B., Lorencatto, F., & Francis, J.J. (July 2014) Patients’ and Health Care Professionals’ Perceptions of Blood Transfusion: A Study Protocol. Cardiff Metropolitan University, UK (2014). Description: Psychology Postgraduate Affairs Group (PSYPAG) Annual Conference. Abdul-Aziz B., Lorencatto F. & Francis J. Blood transfusion as perceived by patients and health care professionals. London, UK (2014). Abdul-Aziz B. & Chater A. Exploring the determinants of healthy eating and physical activity: A cross-cultural perspective. Cluj Napoca, Romania (2010). Description: European Health Psychology Society International Conference.